MINT MAYS!!! 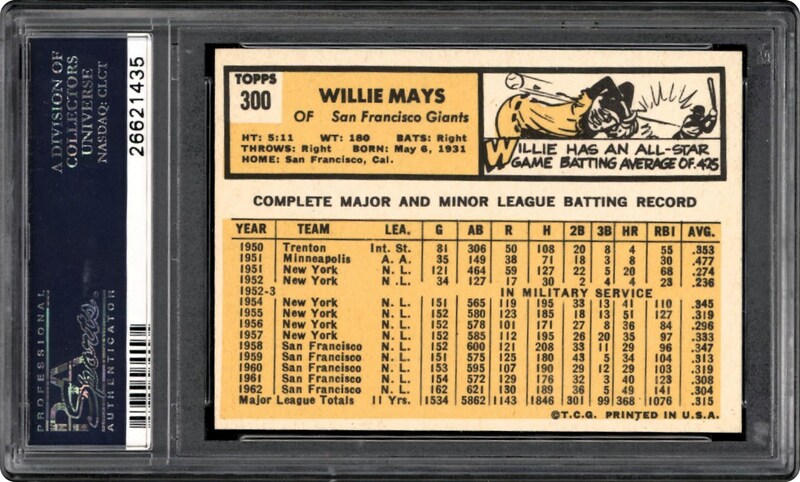 The undisputed finest post-WWII "5 tool player", many historians consider Mays the greatest of them all, synonymous with the world-class standing of this miraculous PSA Mint 9 offering that has been bested by only a sole PSA encapsulated specimen! 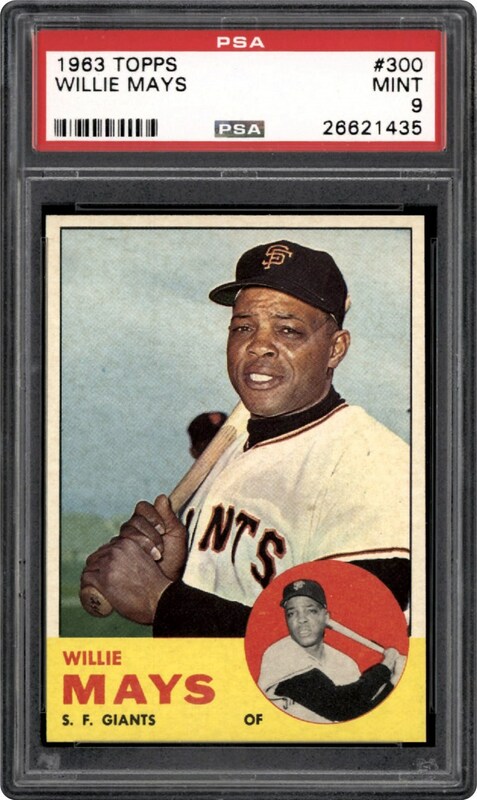 Every possible aspect of this gem leans towards "cardboard perfection" including its crystal clear and richly hued image, snow white borders, pinpoint corners, fine centering, and flawless-like surfaces. Additionally, the typical glaring printer marks that plague the inner red circle have eluded this card, with its coupled technical attributes and astonishing eye appeal easily consistent with the hallowed "Mint" assessment!